HELP! I Want to Keep the Hair I Already Have! 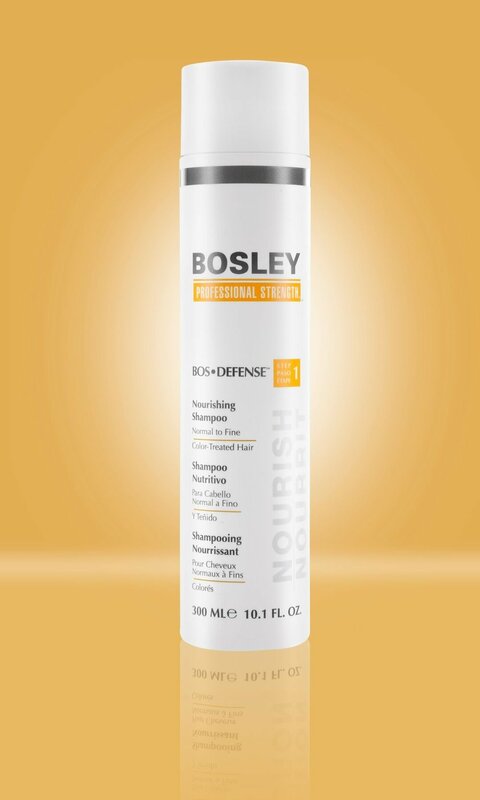 Because at some point all hair can use a little hair rehab, Bosley Professional Strength has developed the BosDefense three-step haircare regimen to ensure that your scalp and hair is the healthiest it can be. Available in both color-treated and non color-treated formulas, BosDefense is for anyone who wants to maintain what they have, but with more thickness and volume. Bosley Professional Strength BosDefense 3-Step System Starter Kit for Color-Treated Hair is for those who want to maintain their hair density and take a more defensive action against thinning. Contains LifeXtend Complex formulated to inhibit DHT build-up and provides anti-aging protection. ColorKeeper helps extend and protect hair color. This 3-step system helps provide thicker, full-looking hair in as little as 30-days! Gentle, sulfate free cleanser that helps to create a healthy environment for the hair and scalp. Cleanses and removes build-up and debris from the hair and scalp skin, a primary cause of hair thinning and hair loss. Infuses weightless body and shine onto the hair and scalp while adding thickness and volume as it fortifies the hair shaft. Algae extract helps protect from photo aging, frequent washing and damage due to brushing. Apply daily to clean wet hair, distribute evenly, leave in for up to five minutes and rinse. Creates thicker feeling hair while helping to protect and repair hair and help support healthy hair. Apply 2-4 pumps and massage into scalp. Do not rinse out, style hair as usual.